Find a vacation home to rent in Vang Municipality from our list of vacation rental properties. Campaya has over 6 vacation homes available in Vang Municipality, which give you the possibility to locate a unique accommodation in Vang Municipality which completes your check-list in search for the perfect self catering vacation apartments in Vang Municipality or vacation villas in Vang Municipality. Tyin is a area at the start of Jotunheimen, the largest and wildest mountain area in Norway. Older two storey holiday home, suitable for one or two families. The house is located in a secluded area and host a beautiful view of the surrounding mountains, waters and valleys. Welcome to a lovely cabin located in a peaceful area surrounded by majestic mountains. Several hiking trails right outside the door. This comfortable, well furnished cabbin, surrounded by some forest, is located up in the village of Grindaheim. Boat rental at the lake Vangsmjøsa. 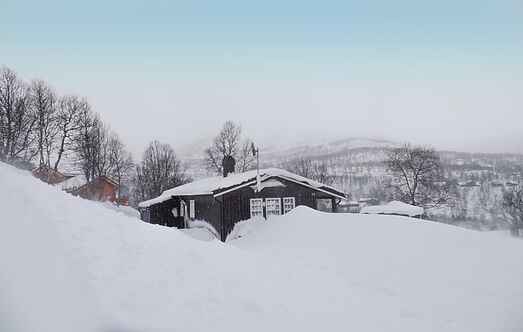 Holiday home located in beautiful Tyin, within short distance to hiking trails during summer and ski tracks during winter. This cosy apartment is located in an apartment complex. It offers a fantastic view of Otrøyvatnet (lake). Tyin is one of the safest snow areas in Norway. A Kite course, dog sledding, etc.